Now that summer is nearly here, most of us will be taking some time off work to enjoy a vacation. At Allovus, that got us thinking about vacationing in general, and how a trip to the airport is a lot like navigating through an interface. Actually, when you stop and think about it, the airport is one giant user experience (UX) scenario. You have a specific goal—to catch a flight to your destination. 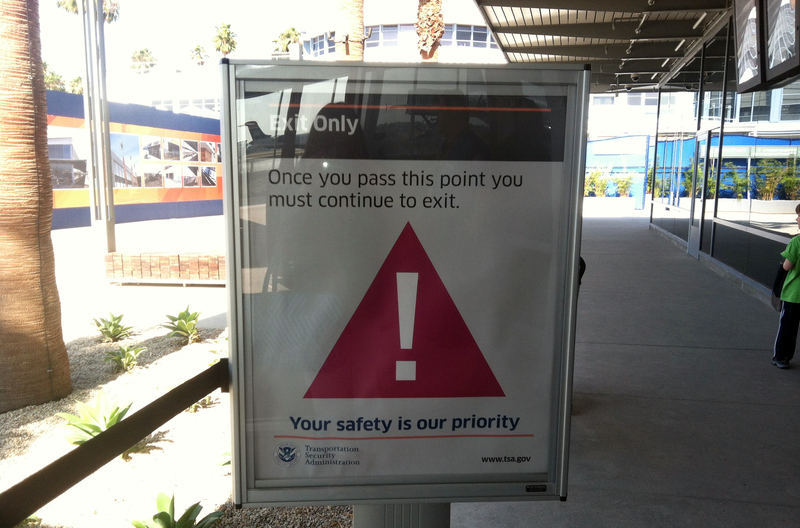 But navigating through to your endpoint may be easy… or not. Here’s a somewhat typical experience at your starting destination: You have twenty minutes to make your flight. You’re racing through the airport, looking for your gate. Will you make it in time?! There is only one entry point—the check-in line. You talk to the person at the counter, show your ID, check in your bags, and he/she prints out a ticket with your gate number and seat/row assignment. Next, you stand in another line to be screened. You know what’s expected of you. You take out your ID, take any coins or metallic objects out of your pockets, take off your shoes, take off your jacket, take off your belt, and place your stuff on a conveyer belt. While you step through the scanner, your belongings are also scanned as they slide through the x-ray machine. Now, there are two possible scenarios that can happen next. You either pass the inspection and move on, or you are stopped for that “random check” and made to go through a more thorough pat-down examination. (Shudder.) However, at the end of this procedure, there is again, only one choice. Find your gate. If you are new to flying, all bets are off. The chances of you making your flight are slim to none. But if you have used this interface before, you still have a fighting chance. You look up, your eyes quickly scanning the signs. You find the one pointing you to your concourse, and you run. Watch out for the slow users on your way! They arrived at the airport two hours in advance and have all the time in the world to step in front of you as they stroll leisurely into the airport gift shop. 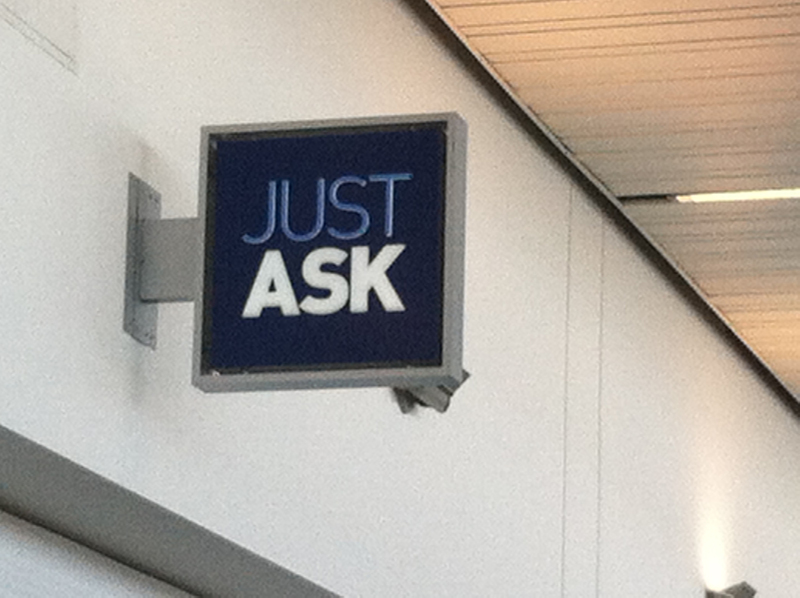 Help function: You could stop and ask an airport employee for help if you get turned around, but finding a helpful person may eat up at least five valuable minutes, if you are lucky. So, you resolve to get there on your own. Finally, you make it to your UX endpoint, which unfortunately, is at the very end of the concourse. The man at the door to the ramp is just closing it. You have to use your superhuman speed to get there before the door clicks shut. The gate keeper issues you a stern look, but after inspecting your paperwork and radioing ahead to the cockpit, he lets you through. Success! But not without surviving a few fits and stops. Note to self: Next trip remember to check-in and print boarding pass online. Easier to navigate than the ticket counter lines. 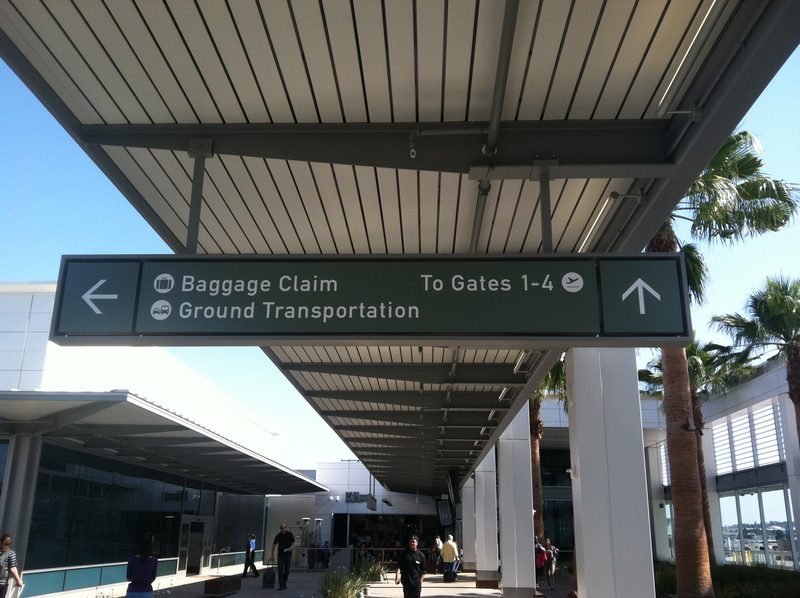 Tags: airport, Disneyland, signage, travel, user experience, ux, ux design, vacation. Bookmark the permalink.